In light of the news about the Supreme Court confirmation of Brett Kavanaugh, I thought it was important to write about power and its relationship to conflict. My purpose is to show you how important it is to tackle conflict head on. As you are reading, ask yourself where you have experienced this yourself and in your own organization. There are two broad categories of power: structural and personal. Structural power is derived from the legal, political, or formal authority that exists in a particular situation or position. Personal power consists of the personal characteristics and traits which are inherent in the individual, such as determination, knowledge, and perseverance. Personal power and structural power may support each other for one individual but may create difficulties for others; an insecure manager, for instance, may not have the personal power at that time to support their structural power position, and vice versa. Which people in your organization have both? What problems or conflicts arise when a leader has structural power but not personal power or vice versa? I am often asked to provide conflict resolution services due to power problems. Before we settle on which approach will be the most helpful, we analyze and determine which type of power is in play. Legitimate power is the power granted by holding a position or role. It is found in virtually all businesses and is the power associated with CEOs, managers, and other authority figures. Legitimate power isn’t always associated with a specific role. It can also arise from a code or standard which influences behavior and choices. Acceptance of social structure and cultural values also give rise to legitimate power. We often see how those with certain age, personal, intelligence, or caste characteristics are granted legitimate power to influence others. This type of power may also be considered formal authority. 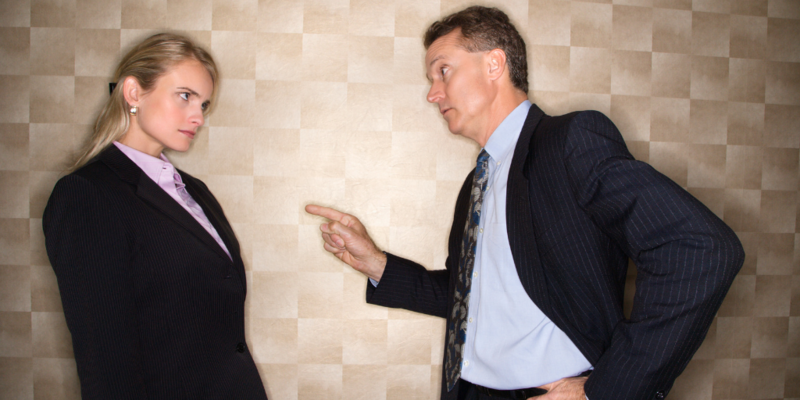 Problems arise when authority figures abuse their power by demonstrating threatening behavior. Informational power is when someone possesses necessary information or insight that others may not have. It’s short-lived power, and while it may help establish someone as an expert, it doesn’t necessarily lead to influence or credibility in the long-term. An example of this type of power is when an employee has needed information about a specific project that a manager requires. Problems arise when someone with informational power withholds information in order to gain influence. Expert power has a longer life span. This power arises when a person has a particular expertise or skill that others may not have. This makes them valuable to the organization and to the team, as their expertise is in limited supply. This type of power is also generally considered to be positive. Expert power is considered one of the most effective types, as these people tend to create trust and respect by sharing their expertise for the good of a team or company. Problems arise when an expert hoards their knowledge. Referent power is largely about personality but is often found in people who are at higher levels of a company. Their charisma or integrity attract people to them and may create a level of trust and respect. Problems arise when that trust is abused or the charm is used inappropriately, such as has been reported in the #MeToo movement. Reward power occurs when a reward is promised in exchange for some action. This type of power is only useful, however, if the reward is perceived as valuable. While rewards can be used to increase morale or motivation, the problem arises when reward power is overused. Coercive power is the dark side of reward power. While reward power tends to have a positive impact on others, coercive power is one of the most negative and abusive forms. In this type of power, a requested action is tied to a threat or punishment. 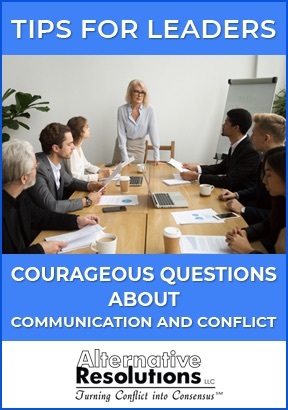 Problems arise when managers who are insecure or feel weak in their position attempt to utilize coercive power to prove their authority over others. These people may think they’re motivating their employees when in reality, they’re bullying them. We helped a team lead who was using legitimate and informational power to restrict growth opportunities for staff. By helping develop trust among the team, she was able to let go of some of her power and allow staff to blossom. 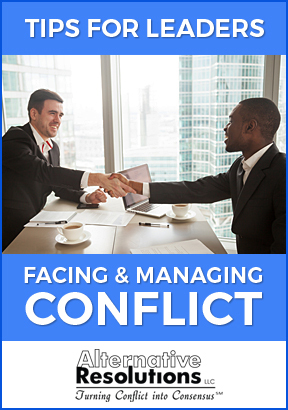 Do you suspect the conflict in your organization is inhibiting results? Call today to talk about your goals and your concern that power is being wielded as a barrier to reaching them.